Indium Corporation's EZ-Pour® Gallium Trichloride (GaCl3) simplifies the use of gallium trichloride by allowing the user to easily transfer the product from one container to another at room temperature. Traditional gallium trichloride is solid at room temperature and often forms clumps or sticks together during storage and use. This inhibits the efficient and consistent materials transfer between vessels and processing equipment. EZ-Pour® Gallium Trichloride’s unique free form solves this challenge by eliminating clumping and enabling fast, efficient, safe, and accurate transfer. 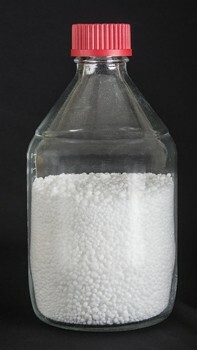 For more information about EZ-Pour® Gallium Trichloride, visit www.indium.com/gallium-trichloride.